The Customize Windows > Computer and Internet > Hardware > What is Terminal? What is Terminal? A terminal console and a computer is for input and display of data. 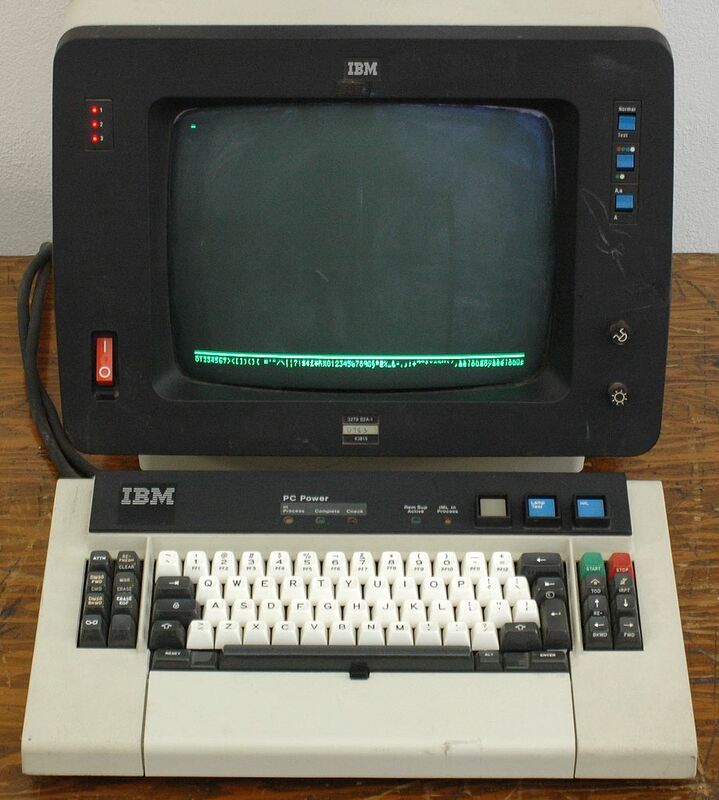 Terminals have been developed so far for the mainframe computers. Previously we wrote about the best practices for Mainframe Systems and Terminal Emulation and in this article we will explain the simple question – What is Terminal? It advised to read about Terminal Emulation too, to get the difference. Another terminology you might not know is Mainframe Computers. Terminals have been developed so far to the mainframe computers as we said before and teletype was used to replace their work. Today the abbreviation tty stands for the word teletype; in Unix operating systems and associated softwares it is an ubiquitous terminology. While still in the early days of the teletype were similar devices – they were referred as hardcopy terminal, consisting of a printer and a keyboard, the advantage of terminals was that, in the later a screen was used for the reproduction of the data. Through it, one can not only get sequentially arranged output lines as output, it also allowed the maneuverability of the cursor and change of text. The onset of spread gradually started from about 1977. Personal computer has now replaced the terminals in most of the offices. Many terminals has been replaced by terminal emulations, running on a PC. To date, however, terminals are used in some areas. For the connection between the terminal and the computer, the serial interface was used in the two variants as RS-232 interface (standardized in EIA RS-232 or CCITT V.24) and especially in industrial applications as a 20 – mA interface , which was standardized as DIN 66258 and had established itself in a part of the market as de facto standard. Other manufacturers, including the market leader IBM at that time, used proprietary interfaces. Originally terminals were always connected directly to the computer, which had to be equipped with multiple interfaces accordingly. Later there was a wide range of solutions to connect multiple terminals via a common line, which was offered in the case of particular economic agents. IBM was based on a proprietary protocol in the Systems Network Architecture Connecting the terminals, DEC continued for DDCMP one. For longer distances, also the standardized protocol was X.25, a certain distribution. With the introduction of local networks, for instance based on Ethernet, there were more opportunities for connecting terminals, one of which, ultimately only that the Internet protocol have prevailed now. With the introduction of the Internet, a single connecting local and remote terminals arrangement become possible. Terminals are equipped with a special functionality that is tuned to their application. One can easily distinguish between a text and a graphic terminals. The former can only show letters and characters of a particular font (often ASCII display), most in a matrix of 80 columns (as much as punched cards had) and 24 or 25 lines. The much more elaborated graphics terminals were primarily from the other companies. They were the forerunners of today used pixel-oriented hardware. However, in contrast to today there was vector-based terminals, in which the electron beam in the cathode-ray tube was freely programmable. The the picture formed was so memory hungry (compare of today : graphics card ) which was very expensive, they cloud read and transfer line by line and pixel by pixel on the screen, but the lines were printed directly on the phosphor layer, and in the memory only coordinates of the lines were drawn. For this purpose, most memory based picture tubes were used. A pseudo-terminal is a virtual computer terminal in Unix or Linux systems for input and output of data, which allows a program control another program. Examples of terminals : virtual terminals as text consoles for UNIX computers, ASCII terminals such as VT100 from DEC or ADM-3A from Lear Siegler, IBM 3270 terminals, IBM 5250 terminals for accessing IBM iSeries or IBM AS/400 X terminal. Articles Related to What is Terminal? Cite this article as: Abhishek Ghosh, "What is Terminal?," in The Customize Windows, August 2, 2013, April 21, 2019, https://thecustomizewindows.com/2013/08/what-is-terminal/.